(News Investigators) /The Interfaith Dialogue Forum for Peace (IDFP) has urged politicians to shun hate and dangerous speeches as they campaign to actualize their political ambitions in the next general elections. Ahead of its two-day conference scheduled to hold in Abuja on Wednesday, the Forum admonished Nigerians to put the nation first in expressing group and regional concerns in peaceful language within the ambit of the law, where those concerns are genuine. IDFP is a national interfaith and intercultural dialogue forum, whose patrons are the Sultan of Sokoto, Sa’ad Abubakar III and Christian Association of Nigeria [CAN] Supo Oyekunle, It has the peaceful co-existence of all government recognised religions as well as ethnic groups in Nigeria as its central objective. 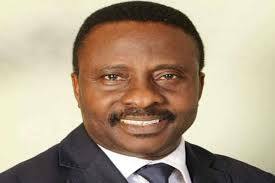 In a statement jointly signed by the Co-chairmen of IDFP, Ishaq Kunle Sanni and Sunday Onuoha, and made available to journalists in Abuja, Tuesday, the Forum said it observed that preparatory events of the past months have slackened our national security and has stylishly dictates the political dimensions. “However, the interfaith communities with the largest constituencies resolved to calm our faithful and entrenched the culture of togetherness and good neighborliness. “As a mandate and our utmost interest, we continue to explore all avenue to stabilize the heated polity, by creating and sustaining political education, awareness and national ethical standard that abhors intimidations and violence. “Our message is urging Nigerians to shun hate and dangerous speeches especially at political parties’ campaigns and rallies. Where regional and group concerns are genuine, we urge that those concerns should be expressed in peaceful language and within the ambit of the law. The Forum urged Nigerians to work harder to make the country habitable for all and sundry. “We have come a long way in interdependence that we must not allow political expediency, greed, pride and selfishness to blind our vision of one united and peaceful Nigeria. “Religion has remained a central factor in every election both periodical and national, and recent development has added the national security as a cognizance part of democratic process through election,” it stated. “We call on all religious-based authorities to embark on re-training of clerics and inculcate the culture of tolerance and mutual respect in their worship life. Nigeria has grown to the extent that no singular religion can dominate the entire landscape; all religions and ethnicities would thrive and benefit the people. 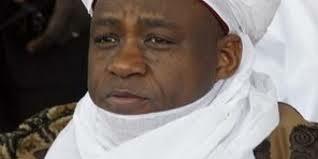 “Finally, we enjoin politicians and public servants to desist from instigating religious and ethnic tensions. They should rather concentrate on good governance anchored on justice, equity and respect for human rights in order to achieve a conducive atmosphere for development,” the statement added.